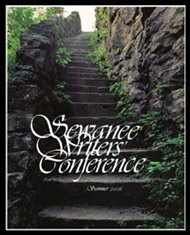 Last year at this time, I was excitedly preparing for the Sewanee Writers’ Conference, for which I was a 2010 Walter E. Dakin Fellow. It’s such a wonderful conference and it was an honor to be named a fellow. I wish I could go again! Congratulations to this year’s fellows and scholars! >thanks for this, Cliff! I didn't know it had been posted.